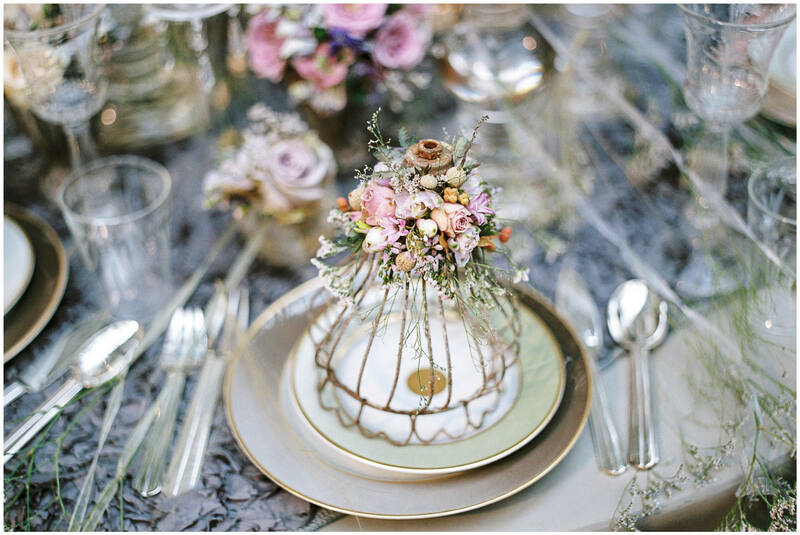 You’re no doubt keen to know what food you’ll be eating on your wedding day and where its coming from, but do you know where your florals are coming from? Here are some key floral tips on being eco friendly that will also be kind to your budget! The easiest way to keep your wedding green is also one of the most easily forgotten about – ensure you choose locally grown, seasonal flowers. Not only will they be more naturally ragrant and beautiful than blooms flown in from abroad, but they’ll also cost less and will reduce your carbon footprint. To ensure that your blooms are sourced as ethically as possible, look for a florist who displays the Fairtrade logo. If you can’t spot one on their website or studio, simply ask how and where their flowers are sourced. Many will follow ethical standards, even if they haven’t been certified by the Fairtrade Foundation. Seasonal plants in decorative pots make more environmentally-friendly thank you gifts than bouquets of freshly cut blooms. Ensure you use large seasonal blooms such as peonies, hydrangea and rambling roses, and you place them around your wedding venue to decorate the space before your guests take them home. Save your flower costs by transporting your ceremony arrangements to your reception venue. Re-using them to decorate the room and tables is key. 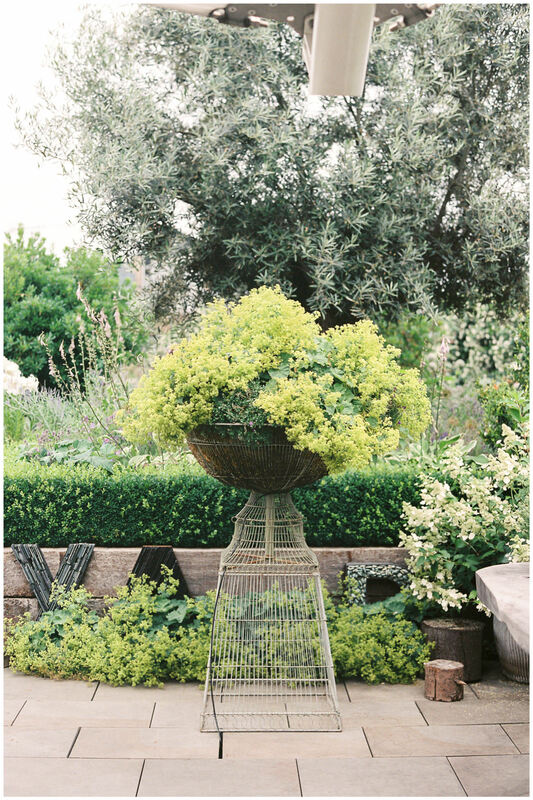 Pedestals and trees are easy to move and look fabulous as entrance displays. Pew ends can be used as chair-backs, and the bridesmaids bouquets can easily be popped in vases to decorate the top table. Before you take out your recycling, stop and take a closer look at the contents. Marmite jars, tea tins and mustard pots may all look ready for the bin. 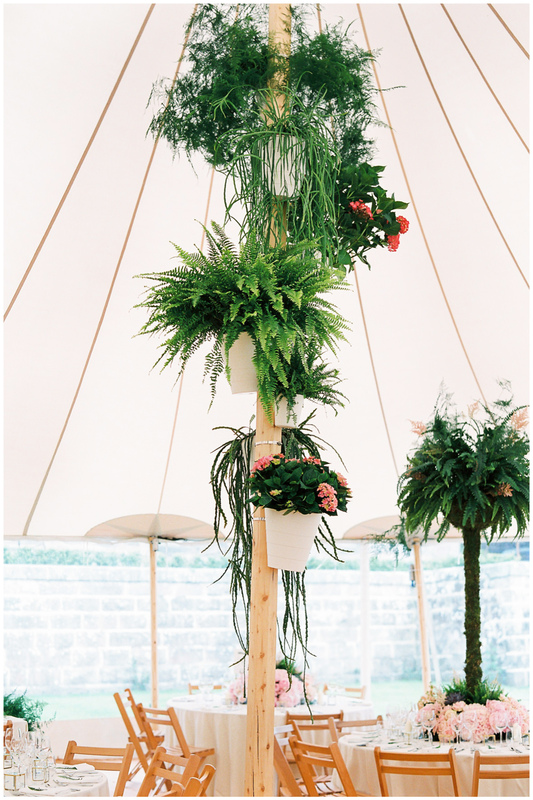 They can all take on a new lease of life when filled with colourful flowers, and are ideal for a quirky and quintessentially British celebration! Rather than throwing your beautiful wedding flowers in the bin after the big day, give a little back to the environment by replanting any able to survive. If you’ve got green fingers and enough time to play with, why not start cultivating your own flowerbeds? That way you can use your very own hand-reared blooms on the big day. If you’re worried about your flower-arranging capabilities, just sign up to a class for some top floral tips. Gain an insight on simple, stylish arrangements and ask any creative friends you have to help out. 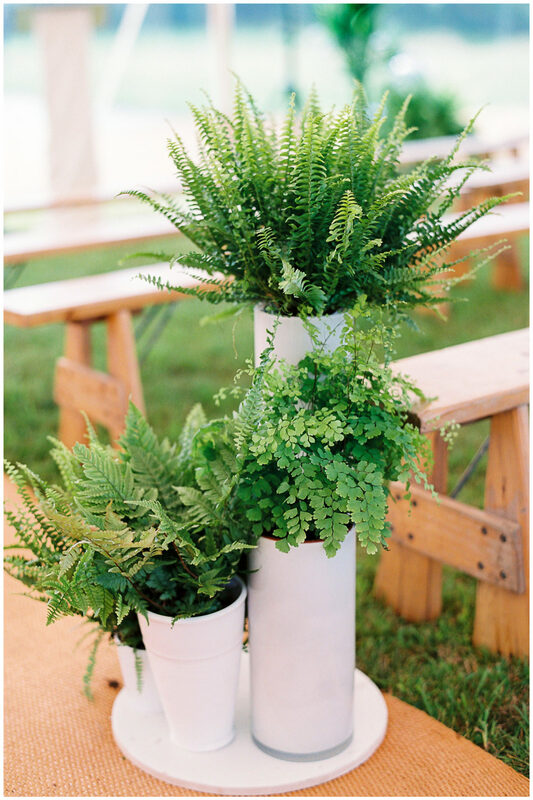 Rather than buying hoards of new, expensive vases for your reception tables (imagine if they broke! ), remember you can pick up all sorts of cool containers from charity shops, vintage fairs and car boot sales, or raid your granny’s kitchen cupboard for pretty china! Stage your wedding reception in a pretty garden filled with flowerbeds and leafy trees. 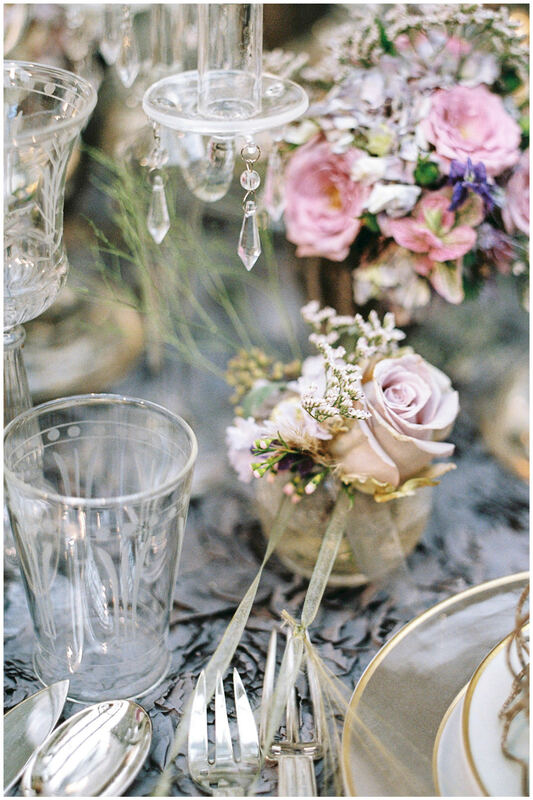 You’ll find that you need far fewer freshly cut blooms to dress up the venue space. 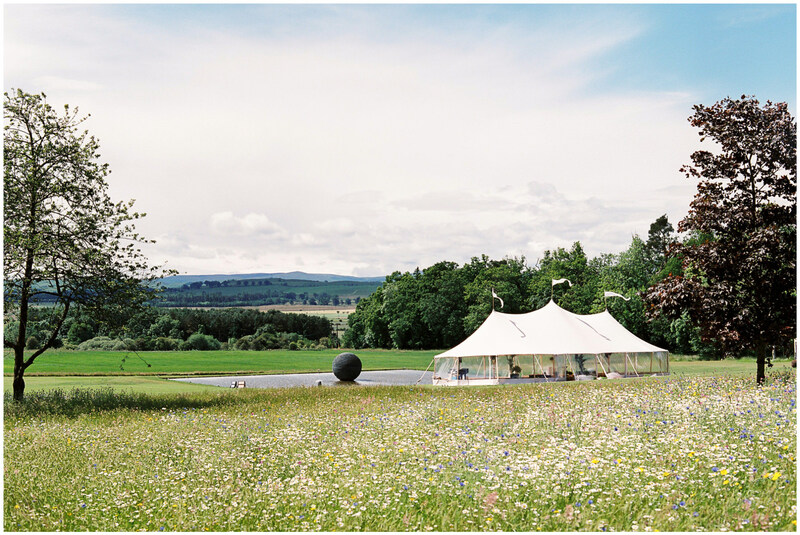 Plus, what could be more romantic than celebrating in the great outdoors amid all of the naturally growing flowers? Ditch the traditional favours and instead opt for earth-conscious gifts for all of your guests. Gift them a pretty pack of seeds or individual pots of herbs. Simply buy a selection from your local supermarket, cover the plastic pots with pretty paper that matches your colour scheme and add a personalised tag. Ask if there are any other weddings taking place at your church or ceremony venue on the next day. You might be able to share the flowers with other couples, thus cutting down on any wastage, halving the cost. Another option to get the most out of your flowers is to donate your blooms to a nearby hospice. Thanks to Wedding Flowers & Accessories magazine for this floral tips article. 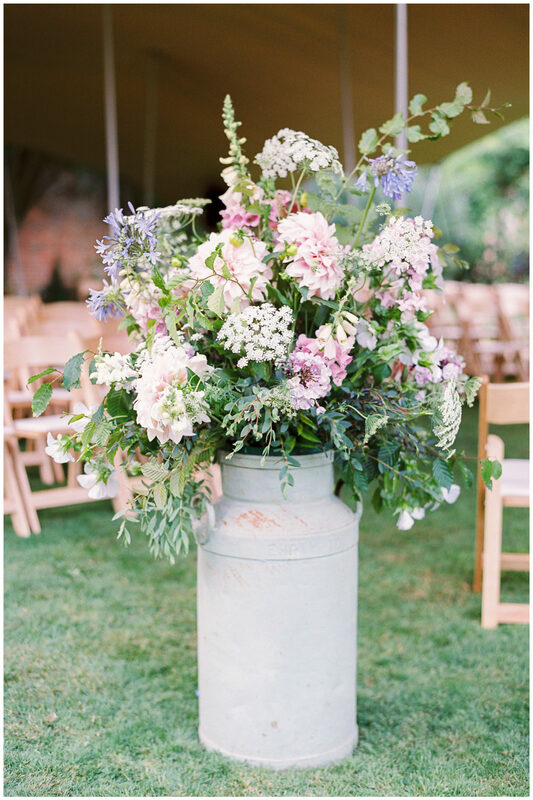 For more wedding day floral tips, head over to my Floral Focus Q&A post with Fiona Perry Flowers.